Did you know that company culture (or lack thereof) is the fourth most commonly cited reason employees leave their jobs for another opportunity? When we talk about workplace culture, we’re referring to everything that defines the nature of a business and its employees. According to our 2019 State of Northeast Ohio Manufacturing Report, 79% of manufacturers across the region are actively working to make their company culture more desirable to attract and retain top talent. To attract and engage top manufacturing talent, what steps can you take to transform organizational culture? Key indicators of strong organizational culture include promoting professional development and helping employees find meaning in their jobs. According to Gallup’s State of the American Workforce report, the longer an individual employee stays at the same job, the more likely they are to reach their full potential. The report goes on to state that employees who feel detached from company culture are less likely to agree with a company’s mission or purpose, making them less engaged and successful on the job. To improve the workplace culture at your manufacturing facility to better attract and retain professionals, start with the three strategies below. From the owner to managers to machine operators, how can you create open paths for communication? Why it matters: To run a effective manufacturing process, each individual needs to know his or her role and who they can approach for out-of-the-ordinary collaboration. A combination of standardized processes and a culture of transparency lead to more productive manufacturing. How to put it into practice: As an organizational leader, set the precedent for communication by passing along key information to the rest of the company on a regular basis. Depending on the structure and technology of your facility, do so through a proactive strategy of periodic company-wide meetings with follow-up communication through email. Then, use this as a gateway to being available—physically, through digital channels, or by phone. Managers across the company should learn to do the same. Another way to improve communication and culture is to adopt a culture of coaching. A shift from “managing” to “coaching” centers on employee growth and company improvement. Why it matters: Continuous coaching from managers helps in two effective ways. First, real-time feedback helps workers continuously improve, making them better, more productive employees. Second, it increases accountability and helps employees know what is expected of them. How to put it into practice: Personally work with your direct reports in a coaching role, and encourage your managers to implement that same philosophy. Coaching isn’t about directing, but about providing opportunities for employees to learn on their own. Ask questions and challenge them to learn and overcome difficulties, rather than simply instructing. These individuals will learn to think more strategically and take ownership of their work. Why it matters: Some company leaders often avoid overspending on employee training for fear that the employee will leave, wasting the investment. However, when employees feel support from their employers to pursue professional growth, they want to work harder in the short term and are more likely to feel connected to the company and stay for the long term. How to put it into practice: As part of the continual feedback process mentioned above, identify what employees need to know, want to learn, and can do to best support the company going forward, then identify relevant training opportunities. Specific opportunities could include professional events and conferences, online education, technology training, books, and more. Ready to Enhance Your Company Culture and Reach New Goals? 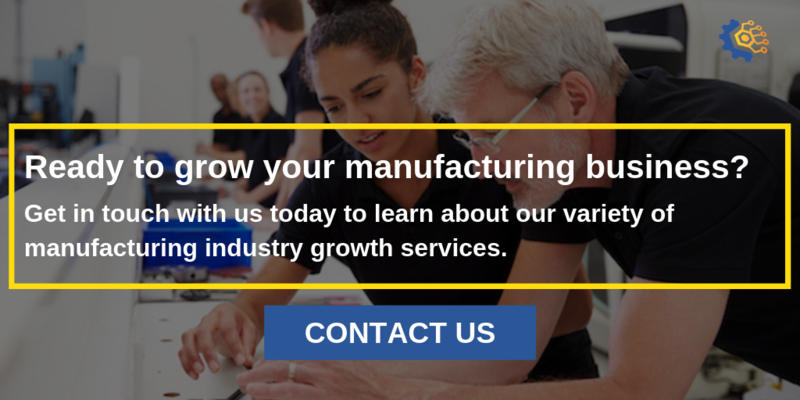 MAGNET has years of experience helping manufacturers in Northeast Ohio attract, retain and grow their manufacturing workforce. Contact us to find out how we can help you create a program and a culture that gets employees engaged.